"Attack Helicopters and other Crucial Technology for Peace Enforcement"
in conference "Using Force in UN Peace Operations"
developments and progress since the report of the Expert Panel"
in Stockholm Security Conference, titled "Emerging technologies: Unseen connections, missing players, absent solutions"
The Decline of Canadian Peacekeeping Training (and What to Do About It)"
Location to be determined, Rideau Institute, Ottawa, December 17. 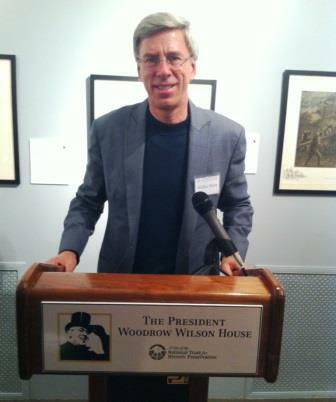 President Woodrow Wilson House, Washington, DC, October 24. National Defence University, Ft. McNair, Washington, DC, October 8. Canadian War Museum, September 27, 3 pm. 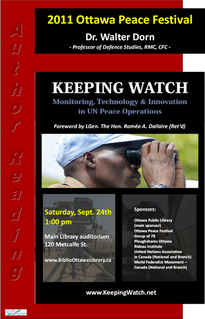 Ottawa Public Library, Main Branch, September 29, 12 noon. National Defense University (NDU), Washington, D.C.
Laurier’s Military History Colloquium, Waterloo, May 4. Baha’i UN Office, New York, March 12. 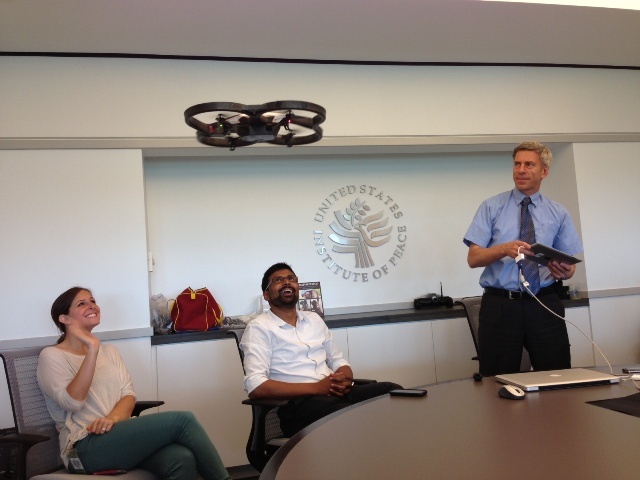 How Do We Make Better Use of Modern Technology? Religions on War: How Similar are They? 13 December 2012, 19h30 / 7:30 p.m.
A study of the main scriptures of seven world religions shows many points in common and many differences. These scriptures have been placed on a spectrum from pacifist to militant, leading to much discussion. 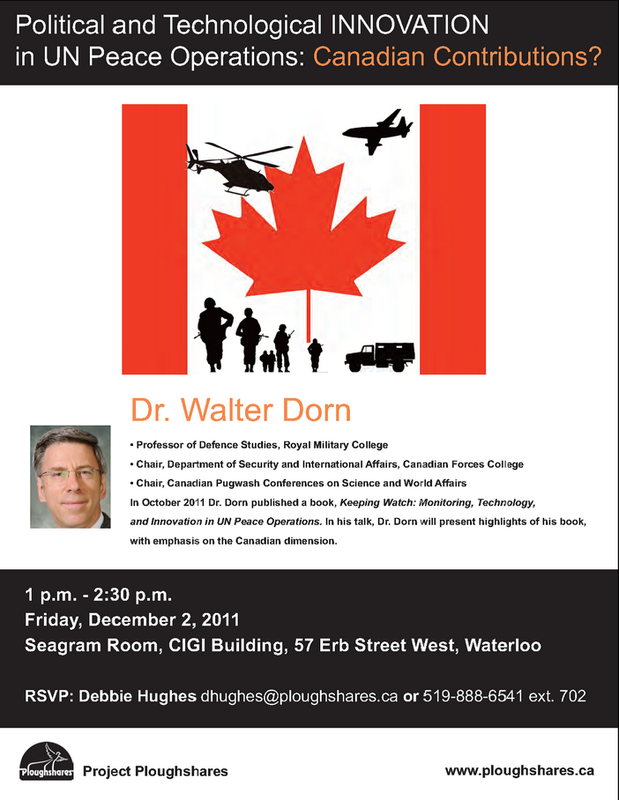 Dr. Walter Dorn is a professor of defence studies at the Royal Military College of Canada (RMCC) and Chair of the Department of Security and International Affairs at the Canadian Forces College (CFC). 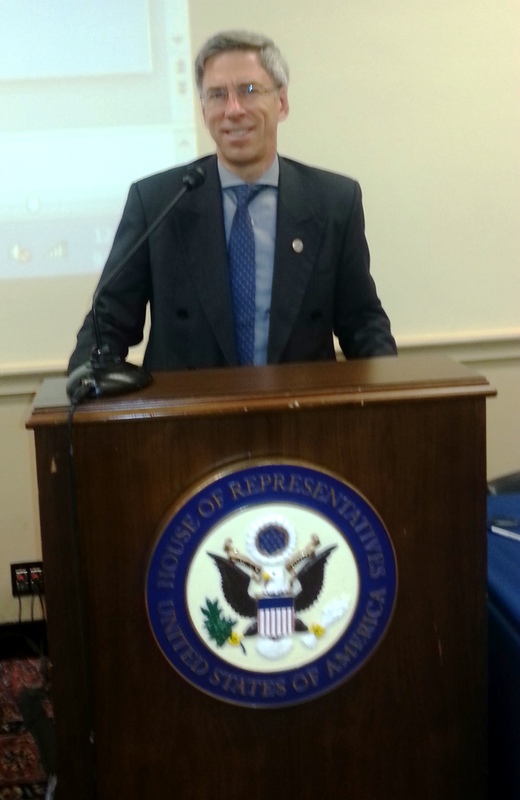 He seeks a fair and open-minded approach to comparative world religions on the issues of war and the use of armed force. 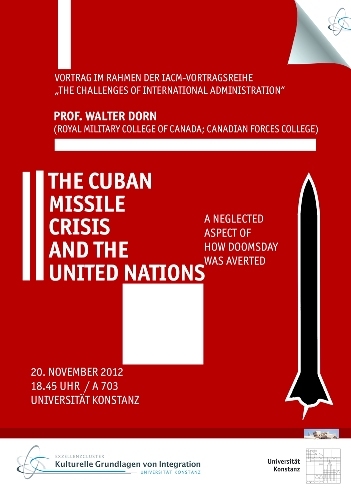 Fifty years after the world came to the brink of nuclear war, there is still an important story to tell about the resolution of the crisis. UN Secretary-General U Thant served as a mediator between the superpowers and deserves credit in the history books for his bold initiatives that literally helped save the world. There are many lessons for today’s crises. An End to War: Is World Order Evolving? 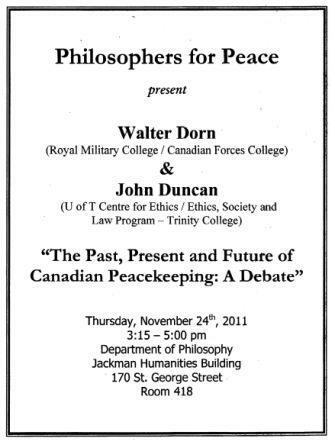 Walter Dorn teaches military officers and civilians at the Canadian Forces College (CFC) and at the Royal Military College of Canada (RMC). 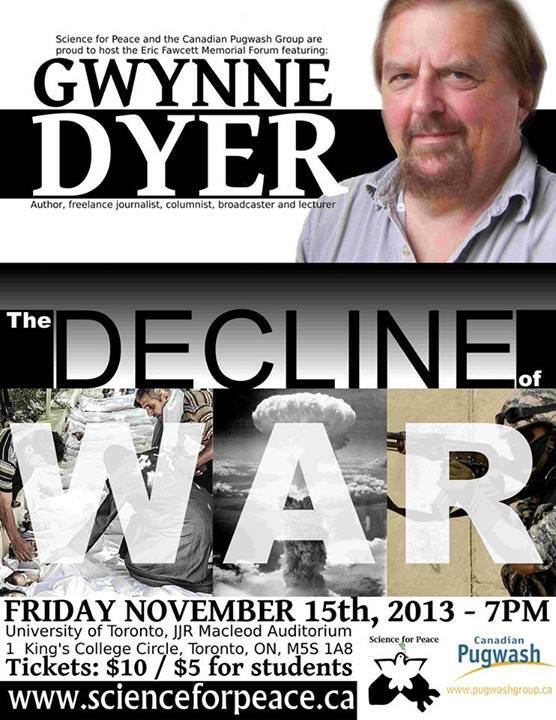 He is a professor of defence studies and Chair of the Department of Security and International Affairs at CFC. He has both studied and served on UN peace operations, and worked as a consultant to the UN's Department of Peacekeeping Operations. Light sandwich lunch will be provided. 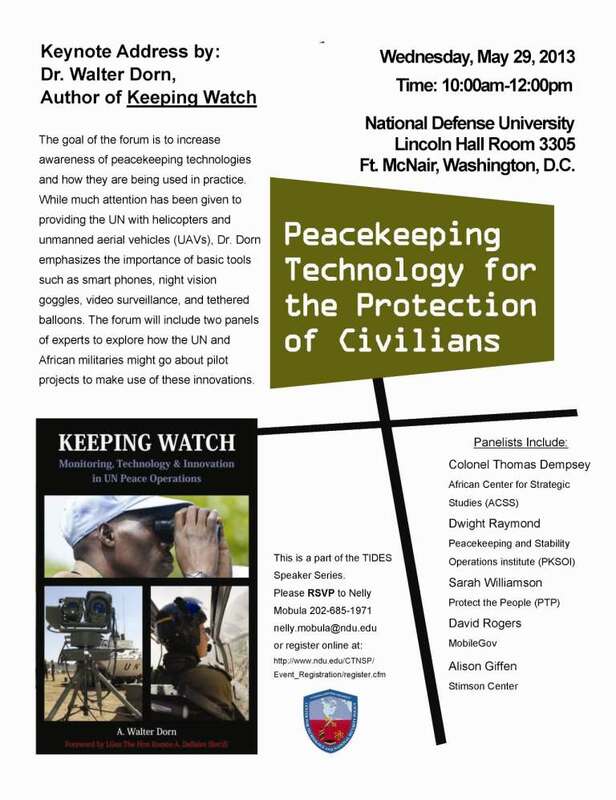 Monitoring Technologies for UN Peacekeeping"